Home > Blog > Product Updates & Releases > Do you have a Cordless Bandsaw? 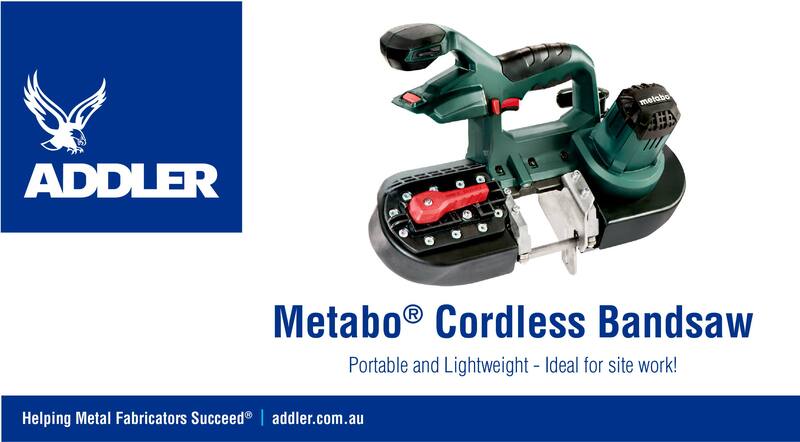 The 18v Metabo® Cordless Bandsaw is here! Providing spark free and fast cutting, this lightweight saw is ideal for cutting metal on site. Product Updates & Releases Bandsaw Blades, Cordless Tools, Cutting Tools, Power Tools. permalink.